A Southern university town that was on Easter break. Nice town that reminds me of a smaller version of Wellington. 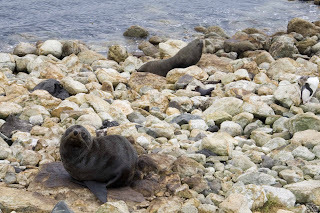 Steepest street in NZ (in the world) and some great wild life only 20 minutes away. 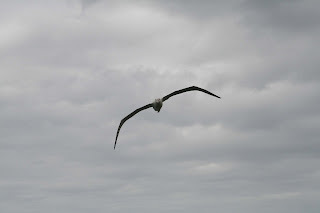 Albatross, seals, and penguins (an Albatross’ 3m wing span requires a good wind in order for them to fly, check it out). Stayed at the Chalet Backpackers owned by a Swiss guy named Heinz. Very nice place. First time staying in a backpackers dorm in about one year, I managed nicely. Highlight!!! 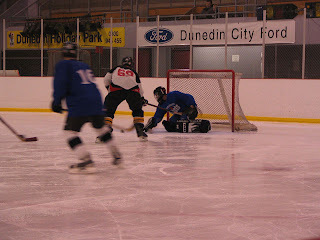 Played goalie for one of the Dunedin Ice hockey teams in the Easton Cup. It was great to put the skates on in the Southern Hemi and I think this clinched New Zealand over Australia as the place to live! 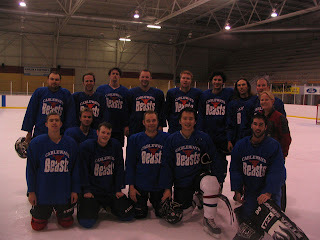 We lost 4-3 in the last minute of the game even with an All-star performance, 28 to 10 in shots for the other team. I was happy just to have a cup. The team would love it if I would come back and be their goalie. It’s good to feel wanted even if my glove hand was the reason for all for goals! I meant to post on here ages back, but I've been slack! Sorry Brad :( There's some photos from your hockey game posted here. 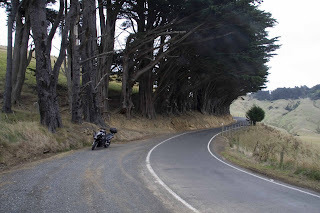 Correction: Dunedin has the steepest street in the world, not just New Zealand. Please come back and play goalie for us!